An intimidating tee shot but there is fairway beyond the bunkers! - and it only requires a carry of 165 yards to find safety. For long hitters the opposite is true and they must take care not to run out of fairway by going too far. Ideally hit a tee shot of around 230 yards and then you will have an approach to a pin whose base you will not be able to see. 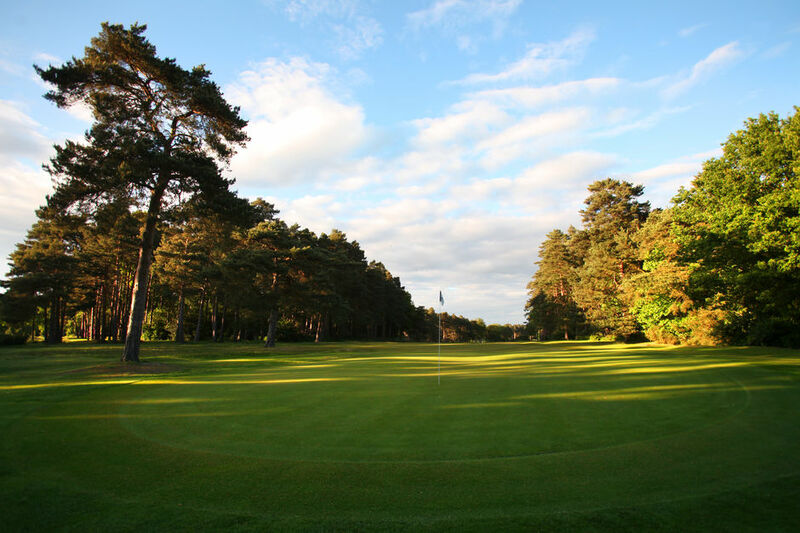 Play for the flag, or just left of it and if clubbing is in doubt take more than you think as the undulating green is slightly above your position on the fairway. A par here iis always a good score.